I have made a website using BuddyPress and i used the feature "extended profile fields". But i have a problem. 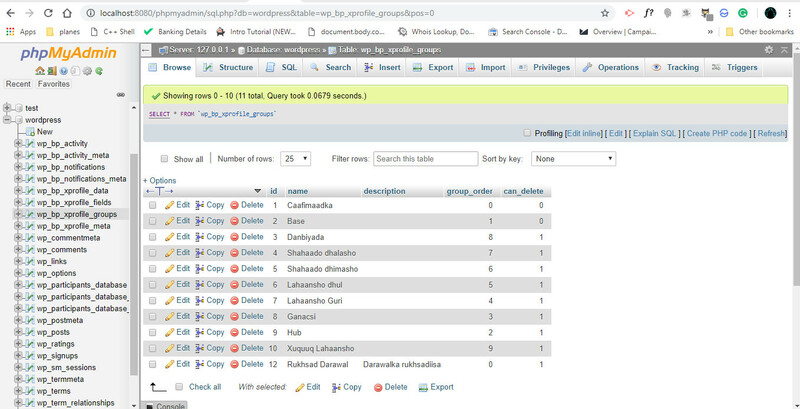 When i export the user data, the built-in buddypress "export script" in (buddypress/bp-xprofile/bp-xprofile-functions.php line: 1340 and below ) only exports extended fields without their group-names, every profile fields has its own group name. The images will explain it all. So how can i export the data from wp_bp_xprofile_groups (each group's name and fields). And then export it to the export page. I will appreciate any help asap. 1) This image shows the tables that i want to be export. (buddypress only exports the fields of those tables not thier group-names). 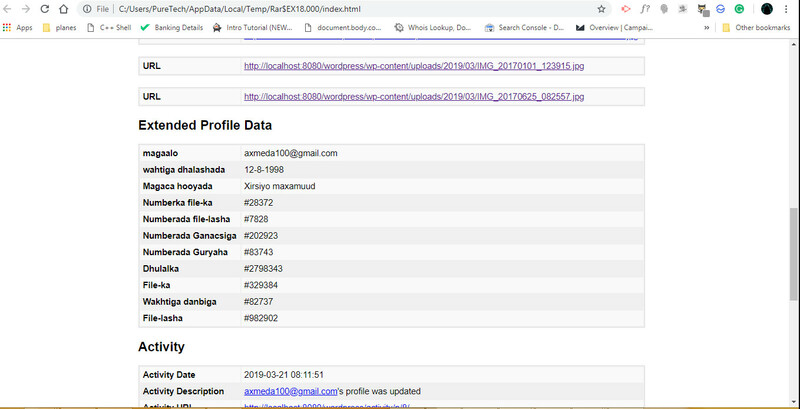 2) As you can see the fields of my extended profile data has group-name like "caafimaadka", and they don't get exported 3) As you can see in the below image the script that exports data didn't export the fields group-names. 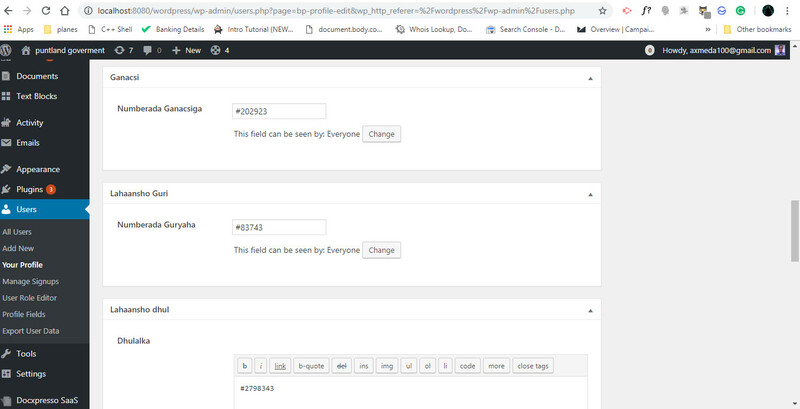 Buddypress version: 4.2.0 wordpress version: 5.1.1 PHP version: 7.3.2 As simple as it is. I couldn't solve it. So please help or advice. Browse other questions tagged custom-field buddypress export or ask your own question. How can I export and then import posts with featured images?